I got my copy of Windows 8 today thanks to Amazon’s super fast 2-day shipping and I’ve just spent the last 2 hours upgrading my Windows 7 PC and playing with Windows 8. So far, I’ve been able to sort out my tiled Start menu, install a few apps and learn how to do some new things as well as re-learn how to do some old things. 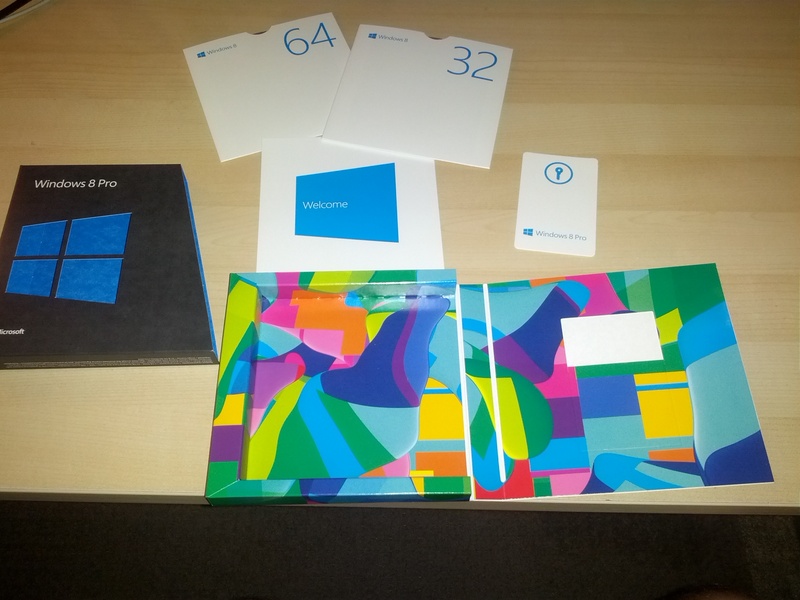 All you get is a fancy little box that opens up to reveal two dvd discs, a welcome card and a product key card. 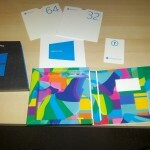 The two discs are the 32-bit and 64-bit versions and they use the same product key. Like Windows 7, I’m pretty sure you can use this one product key to install one copy of each. We’ll find out later when I go to upgrade my Windows partition of my Macbook. 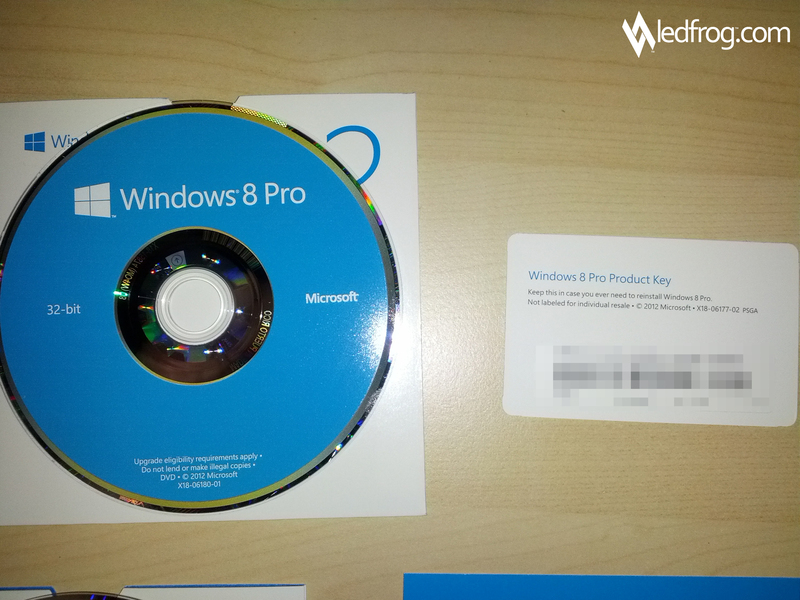 The key card obviously holds your Windows license and unlike Windows 7, you cannot install Windows 8 without it. 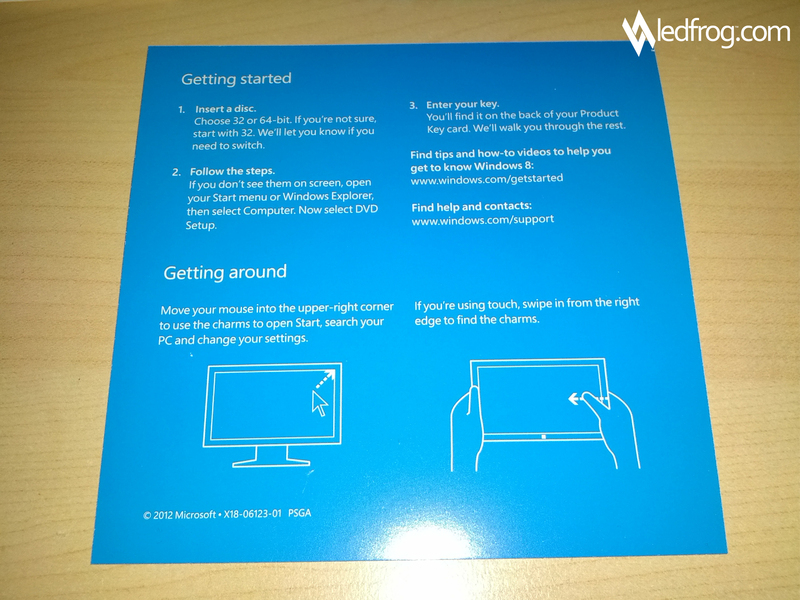 Before, you could skip the product key and use Windows for 30 days. Now you can’t continue the install without it. The upgrade process was fairly straight forward. I popped in the Windows 8 64-bit disc and it asked me what I wanted to do. I could have either upgraded the OS while leaving my apps, settings and files and change nothing or I could have started with a fresh install. I chose to keep everything. It then prompted me with an alert of sorts telling me that I had three things that needed to be uninstalled because the software wasn’t compatible with Windows 8. One of the items was my Trend Micro Antivirus software which I didn’t care about too much because the new 2013 version works just fine. Another one of the items was surprisingly my motherboard’s USB 3.0 drivers. But I uninstalled it anyway just to make Windows happy and of course once the upgrade was complete and the computer restarted, there was a new USB 3.0 driver in place…this time Microsoft’s version. So the whole process took place while I watched an episode of The Office on my Macbook which means, including the initial uninstalls (and subsequent restart), I was able to upgrade my Windows 7 PC to Windows 8 Pro in about 30 minutes. This timeframe may have been longer than most considering I had a great deal of programs, settings and files that Windows had to skate around to get working. 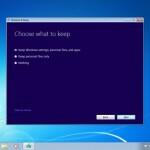 After the system came back up, I was prompted with an initial setup procedure that asked me some basic questions about how to configure my computer and a new feature that I actually really liked was whether I wanted to log into my computer using a local account or my Windows Live id. I’ll go over that in a bit. Overall, the upgrade was painless and very simple. Even with a few roadblocks, everything went in smoothly and there was no loss of data or any programs except those that had to be removed before upgrading. I don’t feel like getting into the new tile system that everyone is either praising or slamming, so let’s skip that and go right into the first few new things I noticed. As I mentioned before, one of the first new features was the ability to log into Windows with either a local user account or a Windows Live account. 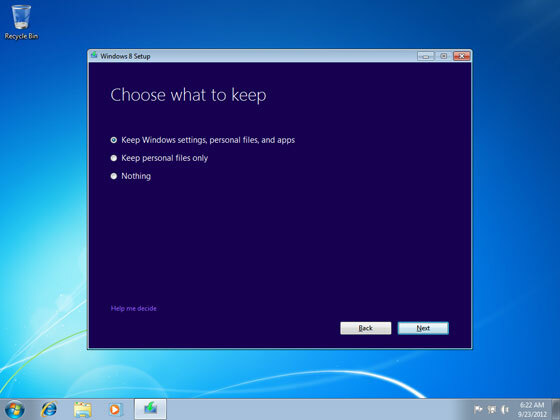 Using the latter allows you to retain your settings and app information when logging into another Windows 8 computer. This will do wonders for the IT department at your office if this feature turns into something that will replace roaming profiles! 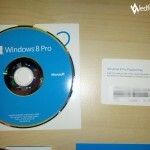 Media Center – Media Center is available as an add-on to Windows 8 Pro and it normally comes with the Windows 8 Pro Pack which is $69.99, but Microsoft is offering it for free until January 31, 2013 from the Windows website. I haven’t installed it yet because I am still waiting for my product key, but I’ll update this section when I do. 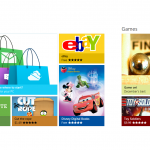 Windows Store – Just like you’d expect from Apple on your iPhone or Google Play on your Android, the Windows store provides you with a gateway to all the great Windows 8 apps. Imagine playing Angry Birds on your desktop with your mouse! I did last night and it was amazing. You can also replace simple tasks you used to complete on your internet browser with actual apps. For example, you can install apps for eBay, Wikipedia, Netflix and Hulu just to name a few. These new apps integrate better with your system rather than having to rely on a browser to work. Solitaire – I just had to mention this!! As a Windows user since version 3.1 (before 95), I’ve very excited to see that Solitaire is once again in Windows 8. This time however, they have blown this thing up. First, you not only get 5 variations of the game, but it now links to your Xbox Live account so you can earn achievements and compete in daily challenges. Charms – When you place your mouse in the upper right corner, these little icons pop out and allow you to search, share and configure settings. The cool thing about this is that the buttons are applicable to the app you have loaded. So clicking on settings when the desktop is up will give you access to the Control Panel and doing so in your favorite app would give you that app’s settings. I will provide a follow-up on the features list when I’ve had more time to play around with everything in detail. Everyone who hates the “metro” look really needs to play with it. They need to configure it to their tastes and make a real go at it before knocking it. I remember when I originally played with the preview versions, I didn’t care for it too much, but now that I see everything connected and working seamlessly together it’s a whole new experience. I’ll admit this will take some getting used to but for those of you out there that are scared your classic Windows is gone, I assure you it’s not. 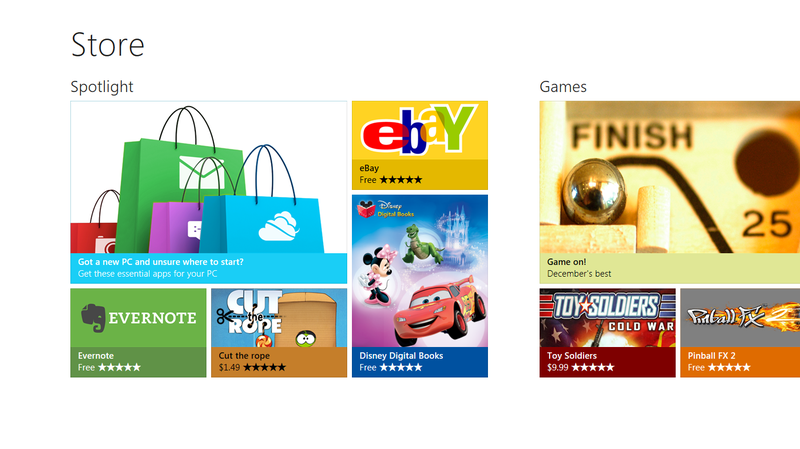 Tiles is just a new Start menu and just like anything new in life, takes a little getting used to. Is it for everybody? Of course not. But trust me when I say it sure does make things look cleaner and more organized. 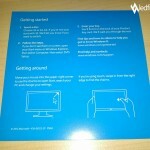 I recommend Windows 8 Pro and can’t wait until I can get it installed on a touch device. can you show what the discs look like, and the back part of the license card (with the product key blurred of course) look like? Unfortunately, there’s not much to see and the welcome booklet is nothing more than a 2-sided card, but I’ve uploaded the photos you requested. The 64-bit version disc looks exactly the same of course.